Did you ever start watching a crochet video and realize the lovely instructor with British accent was getting all her stitches mixed up? Well, if you’ve ever traveled to England you realize very quickly that although we all speak English we don’t necessarily use the same words. That applies to crochet terms as well. Have a cuppa while I explain it to you. Just like common everyday terms like here in the U.S. we take an elevator while in Britain they use the lift, crochet terminology is different. 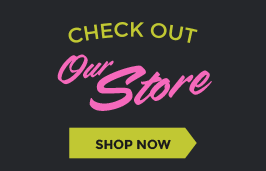 What we refer to as a single crochet is called a double crochet across the pond. This can be very confusing to new and experienced crocheters alike. If you’re following a pattern or video and something is way off you may want to check your pattern source to see if it’s from England. 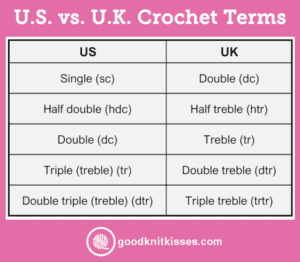 To help you out and to provide a reference sheet for any U.K. crocheters that like to follow my videos I’ve put together a handy reference sheet that compares the terms we use. I hope it helps!